WHEN YOU’RE GOOD… and we are good at what we do! Cevado Technologies,in Chelan, WA, purchased by Jenn Tate, owner of Earth & Sky Studios in Twisp, is one of five companies in the Northwest to receive a Business of the Year Torch Award for Ethics from the Better Business Bureau (BBB). The award honors companies whose leadership demonstrates a high level of personal character and ensures the organization’s practices meet the highest standards of ethics, and consequently generates trust, according to a BBB press release. Cevado Technologies, which designs websites for local businesses and other customers throughout the United States has 18 employees. The company has received high praise from its customers, community partners and vendors, according to the BBB release. Having ethical business practices is a high priority for the group, Tate said. “Ethics in business is the foundation of why I get up every day,” she said. “If we have ethics at the highest level at every part of our organization – there’s no way we can’t succeed. I believe that it is absolutely invaluable.” The Business of the Year recipients are chosen by volunteer judges from third-party community organizations and past award recipients. Cevado Technologies was founded in 1996 and specializes in real estate websites. Earth & Sky Studios, founded in 1999, provides businesses and nonprofit organizations with brand identity, marketing, website development, graphic design and social media strategy. 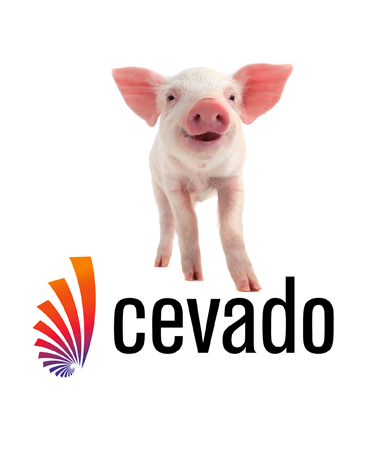 I have been working with Cevado since 2007. At that time, real estate websites were still fairly new, yet there were quite a few companies offering services. I researched extensively, asked a million questions, and was highly impressed with Cevado’s product: mainly that Cevado would let me create as many custom links that I desired. I have been extraordinarily happy with Cevado – their products, their customer service and pricing. I am what they call a ‘power user’ – I employ pretty much every option they offer – and have had to ask customer service for help on many different features. Cevado has always treated me well. I get responses, I get information, I get quick fixes. I have referred many, many people to Cevado and will continue to do so. I have been a client with Cevado Technologies since about 2003. They set up my first and only website (www.SWColoradoProperties.com) and I have had great results from that website. I feel 85%-90% of my buyers come from my personal website. Cevado support has always been awesome and have gone overboard to help me with any questions or challenges I am having. The sales department keeps me abreast of new options they can provide. Some worked and some didn’t in my rural area. They amicably removed the options that didn’t work and have continued to upgrade the services they provide. At one point we had a billing challenge that I was the one that didn’t catch until several months later. When I called accounting they gave me a credit with no fuss. I’ve known several other Realtors who have tried several different website providers and they’re never happy. I am totally content with Cevado. ERA King has enjoyed a more than 10 year relationship with Cevado. During that time our web presence has grown year after year. The overriding values that the Cevado team (especially Fletcher) has brought to the table are with our other technological partnerships. As new web based technologies and opportunities continue to evolve it seems that without the Cevado interaction we would continually be challenged with implementation. They are always eager to listen to the challenge and provide solutions. They are involved in every phase of ERAKing.com from SEO, syndications, over 100 agent web sites and everything in-between. Thank you Cevado. Great job! You and your team are true professionals. I think the site is right on. Thanks again for a job well done. Looking forward to doing business with your system. The customer service that your company has is excellent compared to the other companies we have used. They never returned phone calls, emails, or any other questions so thanks again.